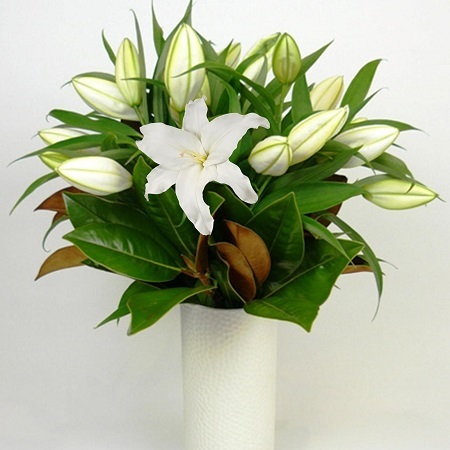 We arrange beautiful long-lasting fragrant white oriental lillies and lush greenery in an elegant white ceramic vase. Stylish and eye-catching and smells divine! Your PickMe gift is then wrapped in lush organza and cradled in white tissue inside our signature pickMe carry bag. We then complete your order with a gift card and trimmed with ribbon making the perfect gift delivery!